Project Scorpio's official name is Xbox One X, it was revealed today at Xbox's E3 press conference. Xbox One X launches worldwide on November 7 for $499. Head of Xbox Software Engineering Kareem Choudhry discussed the new system at the start of the Xbox press conference. Microsoft kicked off its deep dive into Xbox One X's capabilities with the reveal of Forza Motorsport 7. Choudhry said it is not only the most powerful console ever, but is also the smallest Xbox console ever made. The system will have a six Teraflop GPU clocked at 1.172 Ghz, as well as 12 GB GDDR5 memory, 326 GBs of memory bandwidth, and true 4K resolution. 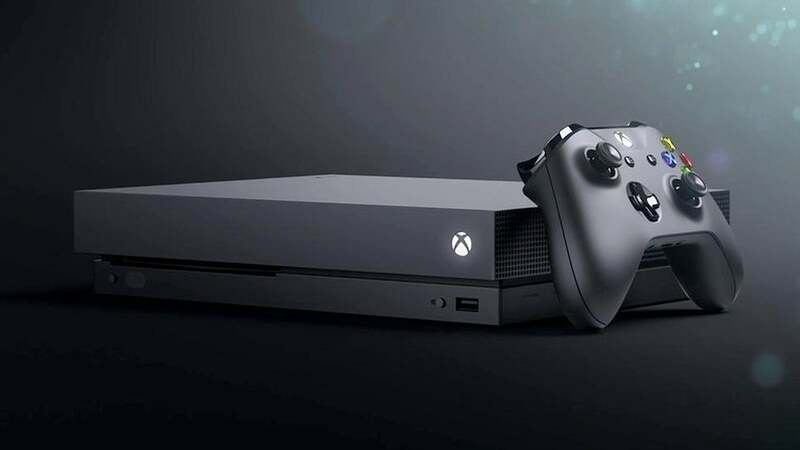 All Xbox One accessories and games will work on Xbox One X, with Choudhry promising that the existing games library will also receive an update, including faster load times and more, even without a 4K TV. The Xbox One X will include a liquid-cooled vapor chamber used more often with servers and high-end PC cards, according to Choudhry. Codenamed 'Project Scorpio', Xbox One X was first revealed at Xbox's E3 conference last year, where it was touted as "the most powerful console ever built." We subsequently learned its tech specs — Scorpio's CPU is 30 percent faster than the one powering the current Xbox One, and boasts a GPU that is 4.6 times more powerful — and we also got a look at the Project Scorpio dev kit. It is, however, still part of the Xbox One family. Thanks to faster hard drive speeds and RAM, Xbox One X can also display games in 4K. For more on all things Xbox and E3, stay tuned to IGN's E3 2017 hub. interesting. i think $500 is a bit too expensive for a console though. its more powerful than the ps4 pro that is for sure. possibly way more powerful but the ps4 pro right now only cost $399 which is more affordable for most consumers. by the time the xbox one x comes out, the ps4 pro might get a $50 dollars price drop making it even more affordable to consumers. $349 is $150 cheaper than $499. Just as long as games that are optimized for ps4 pro can runs in smooth 60 fps at 1080p with hdr, i am happy. it might be downscale to 30 fps for original ps4 which is not bad. sure many or some games on xbox one x might be 4k at smooth 60fps, but i don't mind playing games at 2k (1080p) at 60fps. espeically if it have game(s) that i want, so ps4 pro might be for me. beside i don't have a 4k tv yet either. It may be more powerful but it has to be developed for. Most developers develop for all the consoles if a game is cross platform. They aren't going to spend the time and money to make one version waaay more better than on another console and not see a return on the investment. And if a developer makes an XBox One X game but not for XBox One S, people will be seriously pissed off.